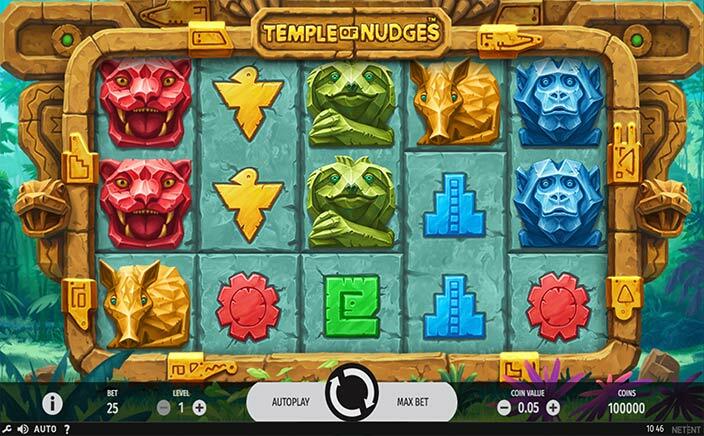 If you enjoy a spiritual walk on the reels, the Temple of Nudges slots powered by NetEnt is placed on 5 reels offering 243 ways to win. The mystical-themed slot game comes with a nudge feature and re-spins feature that can get you big wins. Playable on a range of mobile devices including smartphones and tablets, you can easily stake anywhere between 25p to £250 on each spin. Designed around Aztec, the slot offers players with a quest for exploration to traverse through ancient times and discover what lies ahead. This fascinating slot game is set in the midst of jungles. Players can enjoy the melodious tweets of the birds and watch the tree leaves tune to the free-flowing wind. The game symbols on the reels comprise stones, towers, monkeys, armadillos, birds, cougars, anteaters, sloth and snakes. You can see the cougar appearing as the most valuable symbol with 3, 4 or 5 on a payline. These can pay 3, 6 and 9x your stake respectively. The nudge feature makes for the major one on the slot. Each time you win, this feature gets triggered. The cascading reels nudge down by a position allowing the new symbols to take the top positions. This can give you more wins and you can experience the new nudges and drops. These stacked paying symbols can get additional symbols of the type. The respin feature can be triggered when a respin marked symbol appears on the reels in a winning combination. These icons are locked in their place and you will be able to spot a respin of the other position which can enhance the value and size of your wins. 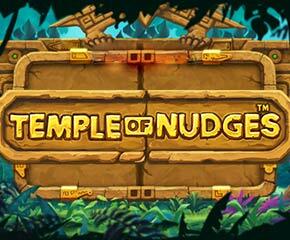 Temple of Nudges is packed with some wise payout patterns. You can claim small wins occasionally. The new nudge mechanism is an innovative feature that makes this game worth a spin. You can win up to 87.48x your stake, which isn’t that high but with the potential of more than 20 free spins without any win; you can enjoy the medium to big wins.